Translating the Italian word in the title yields the repetitive: Bitterman’s Field Guild to Bitters and Bitters. Lets overlook that silliness, though. Upon first glancing through the book, I was intrigued by the recipes. There were a lot of recipes with relatively-low, salable-proof spirits in them that would fail to fully macerate bitter alkaloids as effectively as 190º proof (or higher) spirits will – but there were also a lot of recipes in the book that did call for Everclear. I did note that the recipe for orange bitters called for only sweet variety orange peel and got the bitterness from other bitter botanicals — à la Gary Regan. I find such Regan’s-style orange bitters inferior because of their obfuscation of the flavor of bitter orange. I find Angostura orange bitters (which get their bitterness only from the use of Curaçao bitter orange peel and no other ingredients) to be much better in almost all true cocktails that call for orange bitters (such as the authentic Martini Cocktail). But still, with cautious optimism that the great American bitters guide had finally been written, I decided to check the front of the book for tell-tale signs of the author still having mostly missed the hugely-important main points of bitters as they are traditionally used in American mixology. The cocktail, or bittered sling, traditionally was supposed to present as very little more than the liquor(s) it is made of, slightly diluted, slightly sweetened (unless there is sufficient sweetness among the liquor) and bittered to mitigate the fumatic harshness of the ethanol. A tumbler of whiskey has bite. A Whiskey Cocktail tastes almost completely like the tumbler of whiskey – but without any ethanolic burn and a little sweeter. The function of the bitters in an authentic cocktail is not as flavor drops. Bitters can function as flavor drops in punches, such as the Planter’s Punch or the Trinidad Sour. But, they are something even more in authentic cocktails. The function of the bitters in an authentic cocktail is for the bitter aroma to distract the olfactory system of the the drinker into taking no notice of the ethanol fumes in the throat and nasal passages. This is true of all authentic cocktails, including; the Whiskey Cocktail, the Old-fashioned Whiskey Cocktail, the Manhattan Cocktail, or the Camparinete Cocktail (you probably call it “the Negroni”). Bitterman betrays no hint of being aware of this most basic fact of the authentic American cocktail. How one thinks of bitters always betrays this traditional knowledge – or the lack of it. As long as such ignorance of the elemental nature of the most famous genre of mixed drink in American history is routinely found among American bar-tenders and drink authors, there is no way we can consider current American mixing practice to have emerged from the dark age that started early in the last century. Another routine betrayer of less-than-complete knowledge of bitters that I look for is the inclusion of any of the glycerin-based flavor drops by Fee Brothers that are not bitters at all by any traditional standard. Bitterman’s book includes photographic display of the entire line of mock-bitters by Fee Brothers. Another indicator of bitters ignorance that I look for is the failure to include grand bitters (big-bottle bitters), such as thos by Campari, Picon, Branca, etc. Bitterman does include grand bitters, but he insists on using the Italian word for ‘bitters’ throughout the book: amari – even though Picon, Becherovka, Riga Balsams, and many other grand bitters are not Italian and don’t use the language anywhere on the bottle. This is a little piece of English-inferiority bias – or of the typical, middle-class, quest for the air of sophistication. What was troubling about Bitterman’s book was the seeming lumping together of aromatized wines, such as vermouth wine and quina wine, with bitters — a problem even if one translates from ‘bitters’ to amari. My verdict on this book is, buy it for the bitters recipes if you just want to play around with making mostly-unnecessary bitters you haven’t had before. But do not buy this book if you are seeking in-depth knowledge of bitters or an understanding of their importance in American mixological tradition. Thank you to all of you who attended class sessions here at Elemental Mixology during Portland ‘Cocktail’ Week! It was a lot of fun to run something of a shadow week to the official happenings. There are ten spaces available in the Annual Craftmasters’ Course next year at Elemental Mixology during Portland ‘Cocktail’ Week 2016. They will go to the first ten people who purchase them — so, don’t delay once you know you will be in Portland next year! There are also the travelers’ courses, also! Cheers to old friends and everyone new I met in the last week! Have some happy holidays! Perhaps you have found yourself a swank, rolling cart. Maybe you just won your fight for a couple of square-feet in the kitchen! If you want to know which dozen mainly low-cost, high-value liquors (plus a couple of bitters) I would put there, see the Elemental Mixology Dozen-Bottle Bar page. Curaçao liqueur is a a specialty liqueur, traditionally made of the zest and pith of the the Curaçao bitter orange, grown on the island of the same name in the Netherlands Antilles. It is the single most encountered liqueur in the history of mixology. Though Curaçao liqueur was first made in the Netherlands, and that produced by Amsterdam’s Wynand Fockink distillery was reputed by many to the best, the bulk of high-quality Curaçao liqueur bottlings have come from France. It is important to understand the the following French terms as they relate to Curaçao liqueur. Curaçao — In historical French texts, the word Curaçao might refer to the Netherlands Antilles island of the same name, the unique bitter orange from that island, the dried peel of that bitter orange, a liqueur made of that peel, or a liqueur made of the peel of other types of bitter orange with similar flavor. Curaçao Surfin — Curaçao surfin (‘refined Curaçao’) is Curaçao liqueur properly distilled from bitter orange peel macerated in a spirit (rather than just compounded with it). Curaçao Blanc — Curaçao blanc (‘white Curaçao’) describes any Curaçao liqueur that is left colorless. Curaçao Brun — Curaçao brun (‘brown Curaçao’) describes any Curaçao liqueur that is colored to match the brown color of the mature Curaçao bitter orange. Curaçao Orange — In historical French texts, the phrase Curaçao orange might describe the unique Curaçao bitter orange, but more likely refers to any Curaçao liqueur that is colored orange by a post-distillation maceration using strips of the zest of ripe, sweet oranges (or Curaçao liqueur that is artificially colored to similar visual effect). Curaçao d’Hollande — In historical French texts, the phrase Curaçao d’Hollande (‘Curaçao of Holland’) referred either to: Curaçao liqueur made in the Netherlands (where there would have been little reason to not use orange peel from the Netherlands Antilles island of Curaçao), or French Curaçao liqueur made using only authentic peel of Curaçao orange from the Netherlands Antilles island of Curaçao (shipped by way of the Netherlands) instead of cheaper, more-common (in France), less-reputed peel of bitter orange from Haiti or other places. The sugar content of Curaçao d’Hollande liqueur was typically 375 grams per liter, or close to it. Curaçao Doux — French Curaçao doux (‘sweet Curaçao’) liqueur is the most flavorful and bitter Curaçao liqueur because it is made wholly of Curaçao bitter orange peel. It is also the sweetest, is traditionally containing more than 450 grams of sugar per liter. Curaçao Sec — French Curaçao sec (‘dry Curaçao’) liqueur traditionally contains fewer than 350 grams of sugar per liter. 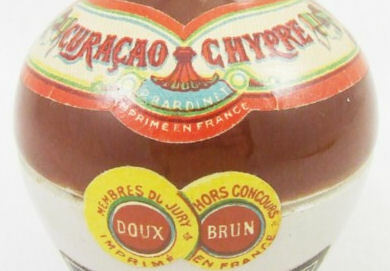 Curaçao Triple-orange — The phrase Curaçao triple-orange (‘triple-orange Curaçao‘) on a bottle of liqueur from France indicates that, in addition to Curaçao bitter orange peel, that of sweet oranges is used as a second orange ingredient, along with the third orange ingredient — hydrosol of orange peel. This may have first been done to cut costs. The mixture of the various types of orange zest and peel creates a less-bitter distillate with less Curaçao flavor. “Curacao Marnier” was a triple-orange Curacao liqueur before Cognac brandy was added creating the product “Grand Marnier” (consequently an orange-flavored brandy liqueur — like the recent product by Ferrand called, humorously, “Dry Curaçao”). Curaçao Triple Sec — French Curaçao triple sec (‘dry, triple[-orange] Curaçao’) liqueur is Curaçao liqueur that is both triple-orange and sec. To mitigate the triple-orange-associated loss in flavor, Curaçao triple sec liqueur is traditionally further aromatized with hydrosol of orange peel. 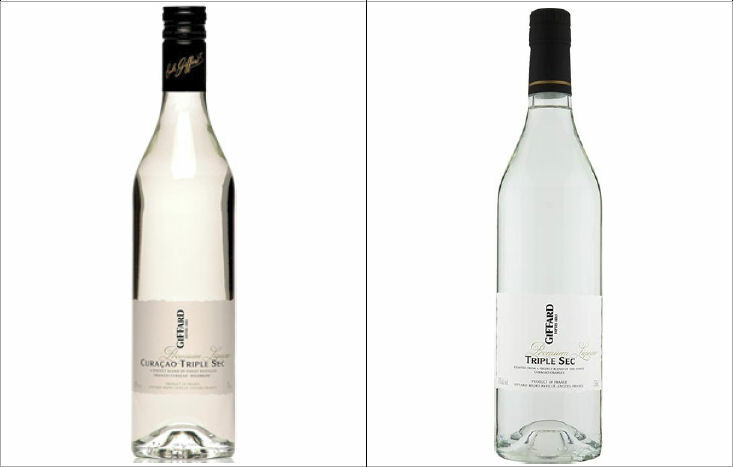 Curaçao triple sec liqueur traditionally contains fewer than 350 grams of sugar per liter. 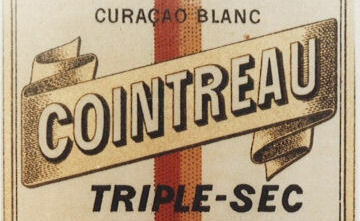 An earlier version of Cointreau’s famous product was Curacao triple sec liqueur. That was before it followed Cusenier into extra-dry territory. Curaçao Extra-sec — French Curaçao extra-sec (‘extra-dry Curaçao’) liqueur is made like Curaçao triple sec liqueur, except that the orange blend contains even less of the more bitter varieties to allow for even less sweetening. 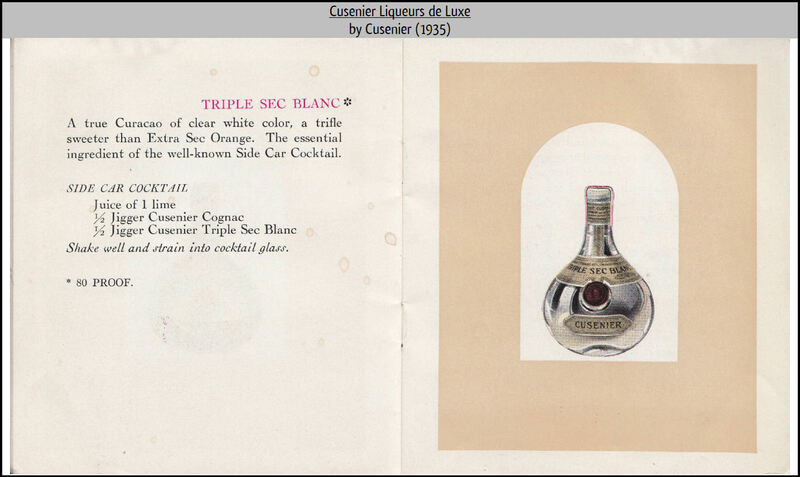 Because this results in even less flavor, Curaçao extra-sec liqueur is traditionally even more aromatized with hydrosol of orange peel than Curaçao triple sec liqueur (see the description in the Cusenier promotional booklet from 1935 below). 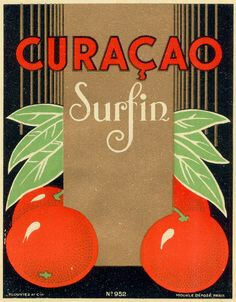 Curaçao extra-sec liqueur traditionally contains fewer than 250 grams of sugar per liter. I have just updated the recommended liquors to include my own recipe for making peach bitters. P.S. There is something labeled ‘peach bitters’ that you can buy from a company whose motto is, “Don’t squeeze, use Fee’s” in an effort to sell their sour mix. Well, at least their sour mix is sour. Their ‘bitters’ are for fools. They don’t make bitters — they make mostly-bitterless, glycerin-based liquids that will not do the traditional work of the bitters in a true cocktail to mitigate the fumatic harshness of ethanol. The best thing you can call their so-called ‘bitters’ is flavor drops. Don’t be caught dead with them. Those of you who have tasted the good, original Quinquina Dubonnet that is actually made in France can never go back to the stuff that has been under license in Kentucky for about 75 years. Drinks writers like David Embury and others decried the blatantly different taste and quality between the two. Why do you suppose American drinks containing Dubonnet suddenly stopped being made in anything like the previous numbers around 1940? Well, if you are like me and are willing to pay the price of getting a trans-Atlantic every now and then (combining enough key products a large enough order to mitigate the shipping costs), there is good news! 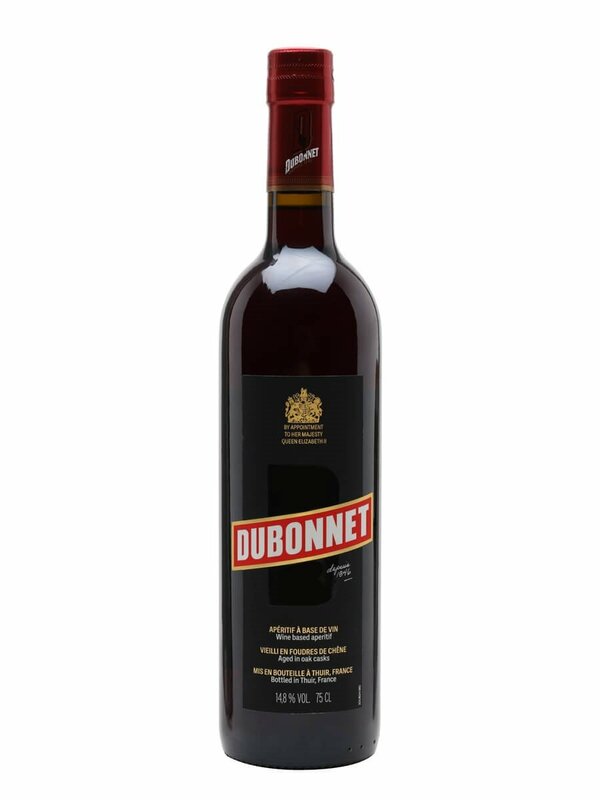 The Whisky Exchange in London, for a while out of stock, now has authentic, French-produced Dubonnet ready to ship! I like and use Giffard products. But, as an Aspie, I am driven a little crazy that their excellent triple-sec Curaçao liqueur must be labeled, by decision of the ever-ignorant U.S. Alcohol and Tobacco Tax and Trade Bureau (a.k.a. ‘T.T.B.’), only as ‘triple sec’ — an adjectival phrase bereft of any noun — for the American market. Duh, T.T.B.! That’s what Curaçao liqueur is! This one from Giffard does happen to be of the triple-sec grade — traditionally containing between 250 and 350 grams of sugar per liter. It’s not wrong for those words to be on the label. 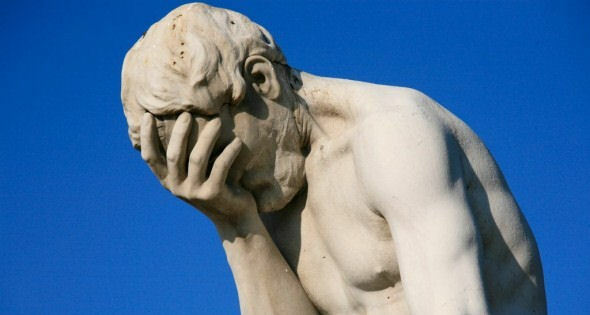 But just calling something ‘triple-dry’ without saying what it is, is just wrong, and nothing less than the bureaucratic imposition of ignorance upon the rest of us by the T.T.B. Not all Curaçao liqueurs are of the triple-sec grade. 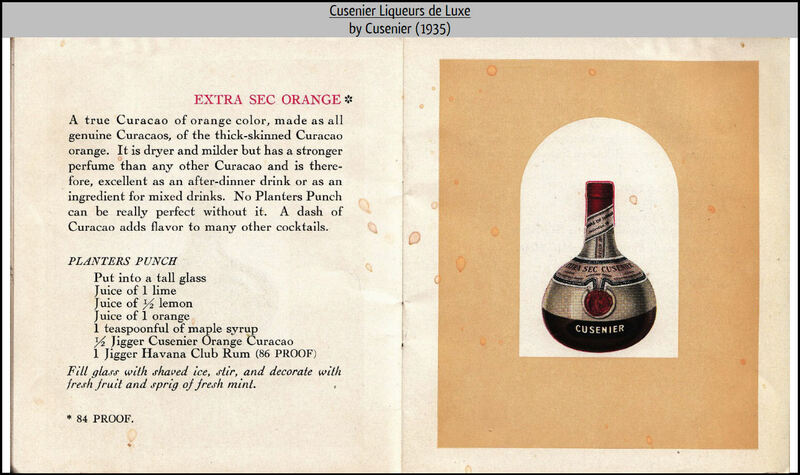 Cointreau and Senior produce extra-sec Curaçao liqueur — having just 240 grams and 242 grams, respectively, of sugar per liter. Legendary, long-gone Cusenier produced the first extra-sec Curaçao liqueur in the early decades of the twentieth century. But it was never the only grade they produced. Is there anyone who will try to assert that understanding the different, traditional grades of Curaçao liqueur is pointless? Is there no point in understanding varying levels of sweetness, bitterness and aroma? If we want to elevate the mixing of drinks, we cannot carry on in such ignorance of ingredients. That would be like asking about a red fire-engine, “Which is it: red, or a fire-engine?